Newton's Nook Designs: you're grate! I'm hoping to get some crafting done this weekend - with the two "new" sets that will be coming out in just a couple of weeks! Shhhh... I'm not supposed to talk about them yet but I'm super excited and can't wait to play! Ok -- onto what I'm posting today! 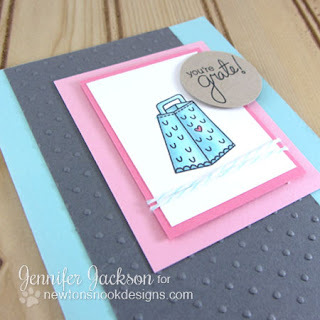 Today I'm sharing one of the first cards I made with the Just Say Cheese stamp set. I had so much fun when I designed this stamp and tried to give it little "personalizations" like the heart in the cheese grater! I love how you can take a household object like that and make it cute! 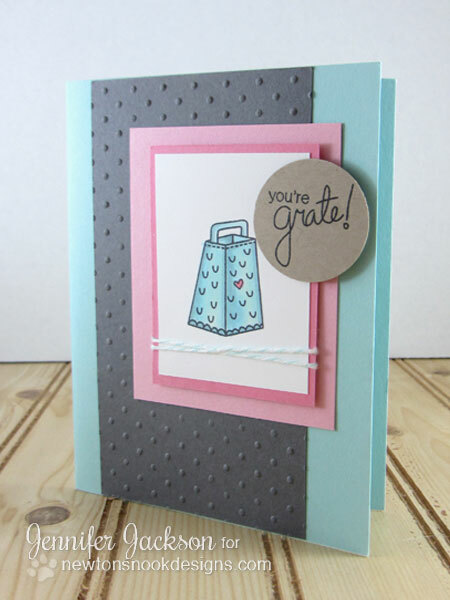 Then just pair it with a funny pun like the "you're grate" and the card practically makes itself.... ok, I did do a little coloring and some cutting and embossing, but really it wasn't that hard! I'm not sure about the color combo on this one though... what do you think? Wonderful card, love the colors! Love the play on words and the image .Great CAS card. I think the little heart in the grater is just too cute. wonderful card. Super cute card...I loved the color combination! I'm thinking it is 'grate'...and I'm liking those colors too.